At TopDogz we pride ourselves on delivering a no fuss, positive training experience to help Perth’s owners understand and instruct their canine pets. 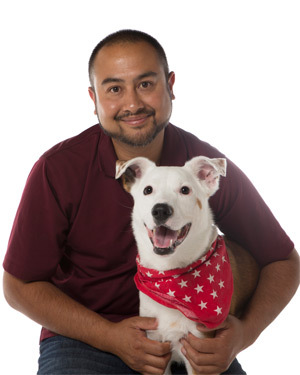 Trevor Valberg is an Industry Accredited Dog Trainer with over 10 years experience training dogs and their owners. He has worked in many positions over the years, some of which have included Head Trainer at a dog shelter and working with Assistance Dogs for the Disabled, thus giving him a valuable insight into dog behaviour. 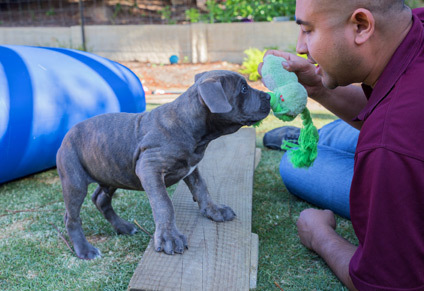 These experiences have helped him appreciate what is required to create a well socialised, balanced dog capable of reaching their full potential with appropriate communication and training. As a trainer and proud father of a young child, Trevor provides a fresh perspective and appreciates the time restraints and priorities in managing a busy home. Trevor can help any struggling dog owner from the biggest of families to the quietest of households. A great introduction into learning new behaviours or just a simple refresher course to keep your dog on track. This service is not just for problem dogs. Behavioural consults can help a large range of behaviours such as agression, seperation anxiety, barking and much more. Suitable for newly adopted dogs. This service is designed to ease a new canine member into the family. Perfect for the busy owner with little time to walk their dog. Have your dog exercised and trained by an expert while at work. This dog training will teach your dog to remain calm for visitors in only a few short hours of practise. Read more about all our services. Did you know we also offer homeboarding? Are you having problems with your puppy such as biting, toileting or general destruction? Top Dogz is proud to present a rare opportunity to the Perth public. Board and train is a premium pet service designed to house and train your dog in an idyllic household environment. The type of dog that would best suit this service are pre vaccinated puppies and adolescent dogs up to one year. If you have any queries or would simply like to leave us a message, please fill out the form and and we’ll get back to you.